She had been watching Patrick in the distance with his arms wrapped around the trunk of a huge old tree. 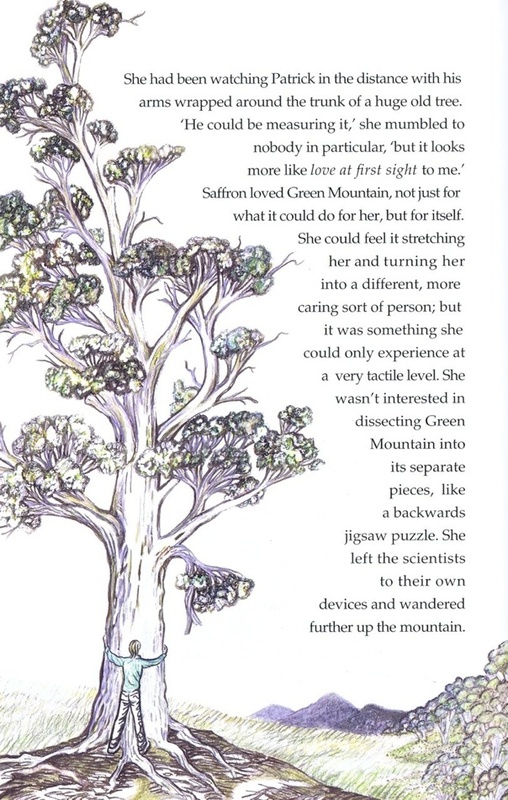 Saffron loved Green Mountain, not just for what it could do for her, but for itself. She could feel it stretching her and turning her into a different, more caring sort of person ; but it was something she could only experience at a very tactile level. She wasn't interested in dissecting Green Mountain into its separate pieces, like a backwards jigsaw- puzzle. She left the scientists to their own devices and wandered further up the mountain. Meet some of the great characters in my new release kid’s book, mobile magic! GO TO PAGE 67 Mountain old growth forest in the high country, Australia.